Our mission is to bring you the world’s most sought-after wines from impossible-to-find back vintage treasures to exciting new releases, at the lowest prices on the market. For three generations we have delivered unrivaled selection, availability and low-pricing through an unparalleled level of concierge services to ensure that you have the best experience possible as you grow and manage your collection. While we offer one of the world’s largest selections of fine wines and rare wine, we are equally passionate about discovering highly-rated, inexpensive gems that still taste like the best wines. We sample hundreds of wines each month and select only the top representatives of their region and style that are also the best values. We’d rather offer a selection of first-rate wines which we are certain will amaze you, instead of offering ones we don’t care about, making you do all the guesswork. As a result, we are confident that you will love every wine we’ve chosen to include in our inventory. Our goal is to help you under-pay for some of the world’s greatest wines in an age where customers expect and demand value. This commitment to what we do on a daily basis is about ensuring that you - our clients - have nothing less than an amazing experience with us. Fine wines should be something that are enjoyed rather than something tedious to manage and overwhelming to understanding. It is our hope that the passion for what we do here everyday extends to you and that you have equal enthusiasm in shopping with us and learning more about what we have to offer you. 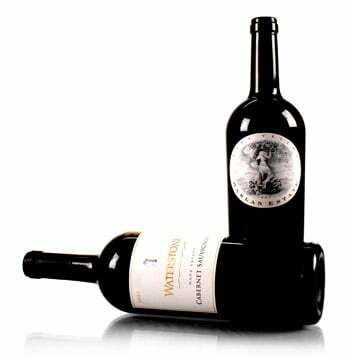 Visit our Shop Wine section to see our vast inventory of premier wine. Or call 800.946.3947 to speak with a personal wine consultant.